We have a good news to share with you. 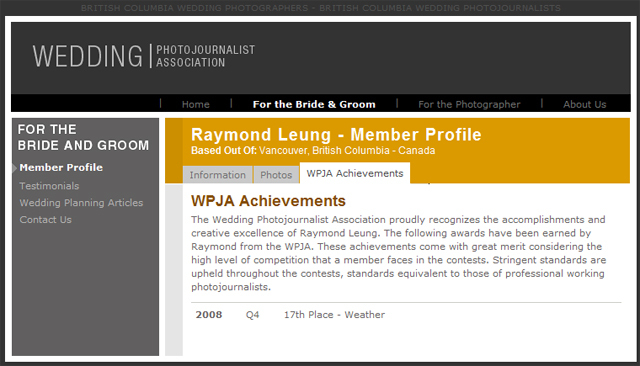 Jessie and I are happy to know that we won our first international wedding photojournalist award. 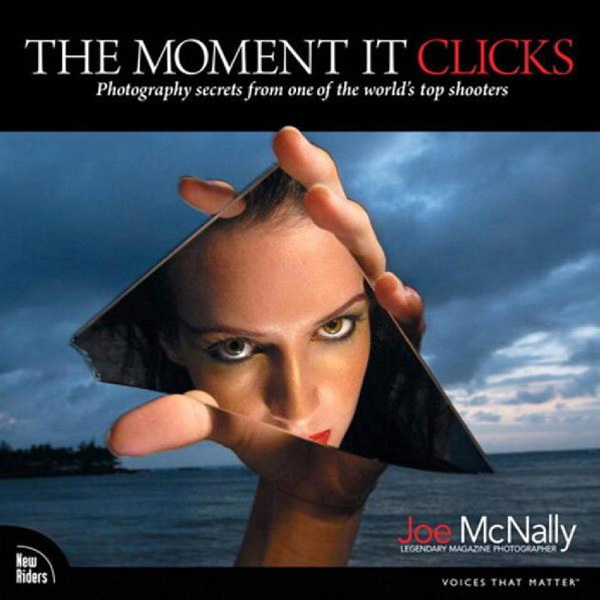 I didn't expect this shot would win when I submitted to the 2008 Q4 contest. We both think this shot is an interesting photo. Brianna was covered by a white sheet to avoid Terry to see her before the wedding. It was a bit windy (and a lot of snow) when she got off from the limo. I quickly captured 2 frames at that time and I decided to pick this one. We will work harder to get more winning shots published! What a busy summer! I will try to post more photos and news on blog in the coming months. 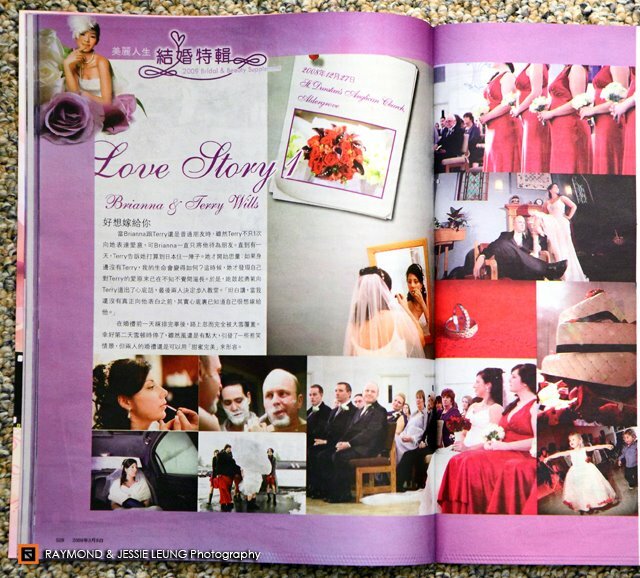 We got published on a Chinese magazine again. The article is mainly about how Jessie and I work as a team and the advantages of having a female photographer in wedding photography . 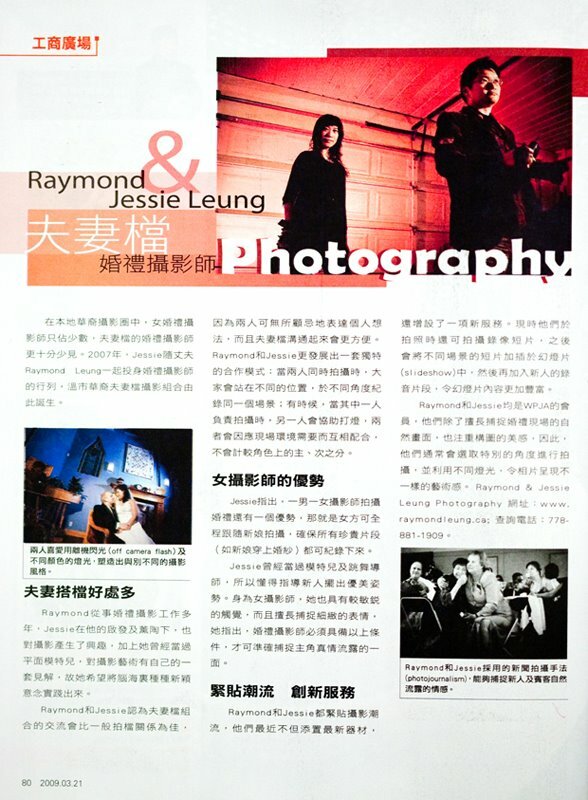 The writer told me that our portrait might not be on the article last week, but they finally decided to use it. I know I missed my weekly blog update schedule. 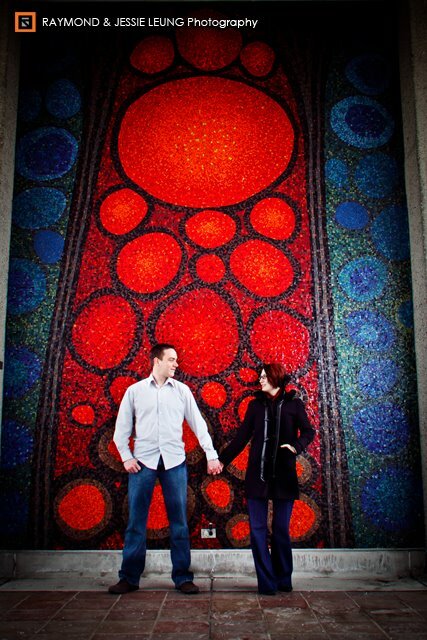 We are busy with some wedding and portrait inquires recently. 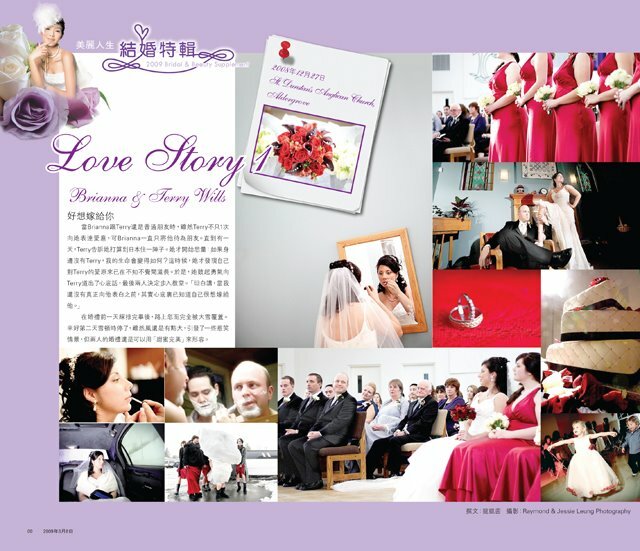 It seems the advertisement and the feature wedding on magazine work quite well. 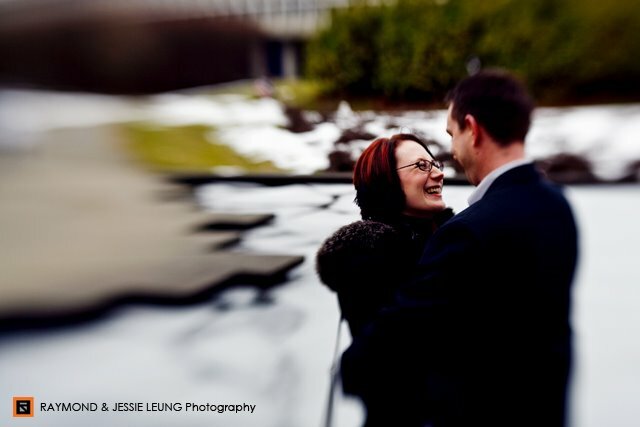 At the same time, Vancouver's crazy weather affected our engagement and pre-wedding sessions a lot. Because of time, I have to drop a layout design assignment. At the same time, I'm expecting an interesting commercial photography session. I really hope we can start this assignment sooner. 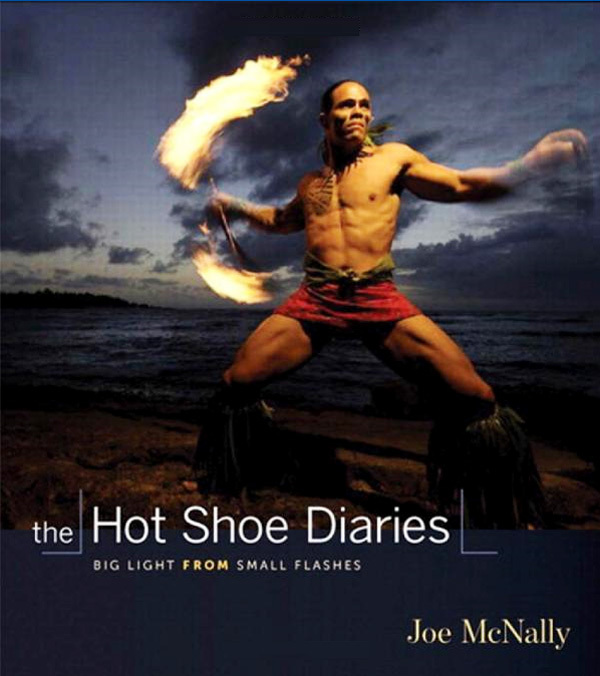 Another book that I want to read is Joe McNally's new book, The Hot Shoe Diaries. I think it's available in Chapters now. I can't wait to get a copy. 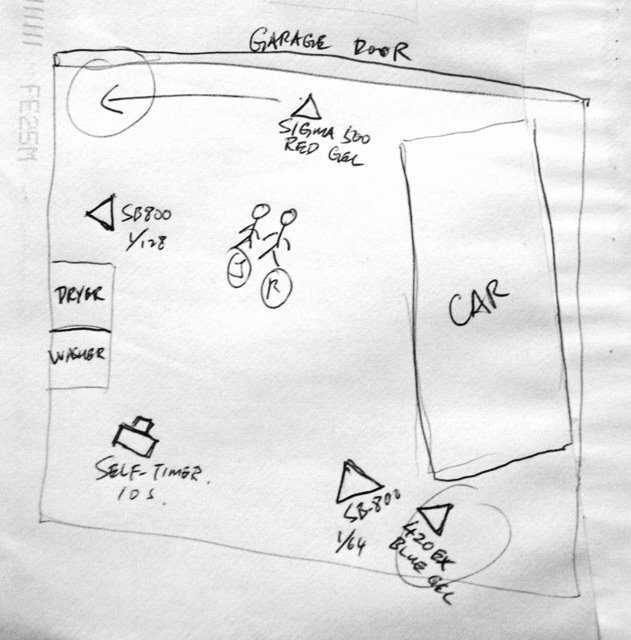 See the ugly draft below, it was my Plan A. I did this in a garage (weird place, right?). 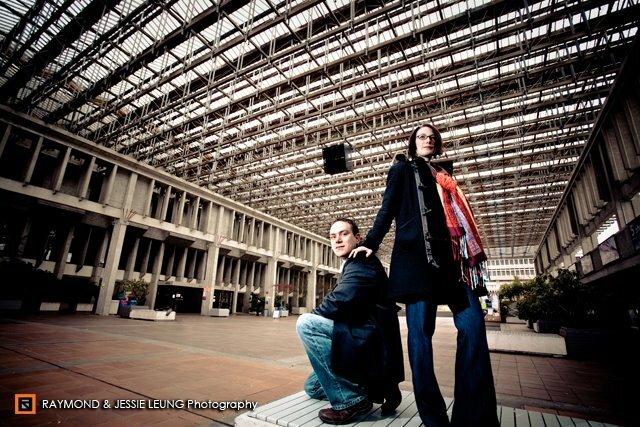 My initial plan was using a blue gelled 420EX on the right side. However, I decided to cut that at the end. The location of the red gelled Sigma EF500 moved to the corner and zoomed it back. Plan B worked better. I wish 5D MkII has a flip LCD screen now. This is our first post of a slideshow in HD format. It took me some time to get use to 1080p and 720p video editing, although I did quite a lot of standard definition editing in Adobe Premiere Pro 2. Time changes so fast... Everything is HD now. 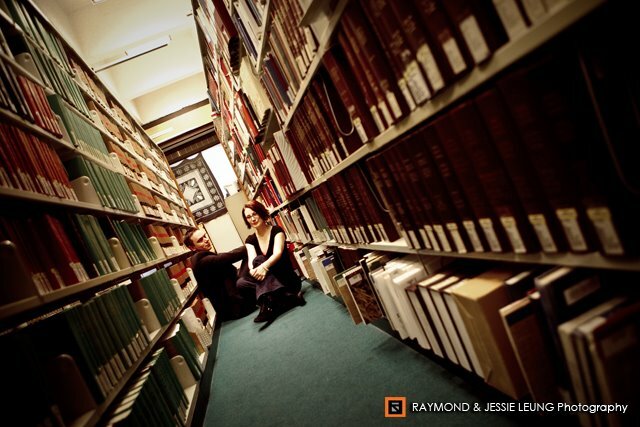 In 2009, our photography shooting includes some HD video clips from 5D MkII and HD-DV. P.S. I'm still learning how to decrease the HD video size for Vimeo upload. 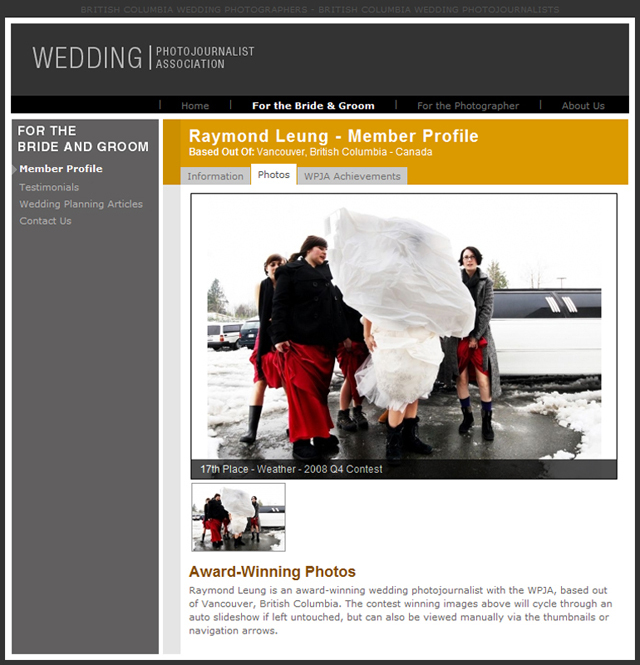 There are problems with this feature wedding page. They missed the photo and article credits. It seems the purple frame's layer is on top of the content's layer (See the L from "Love Story 1" was cut off). I have no idea why but I'll try to find out the reason. *Update: Someone really screwed up (of course). I'm quite disappointed about their printing quality and their layout design. It's like my design course homework in university. 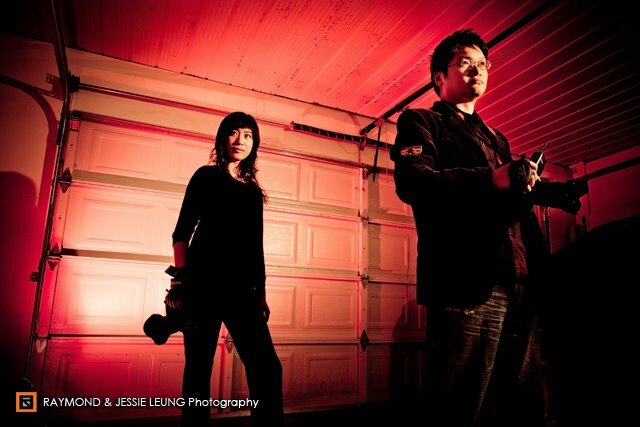 It was our first e-session after our Las Vegas trip. Naomi & Brett are a sweet couple. They are very good at posing, which made our lives much easier. We checked the weather forecast almost every day because of the unstable weather. 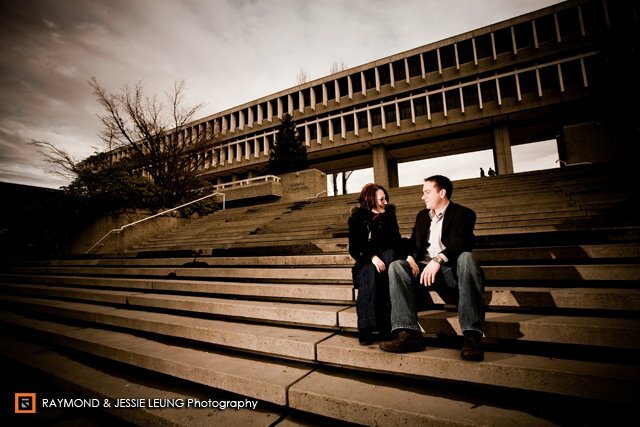 We were lucky (and smart) to choose Simon Fraser University as the location. Sun came out when we started and it went away fast. 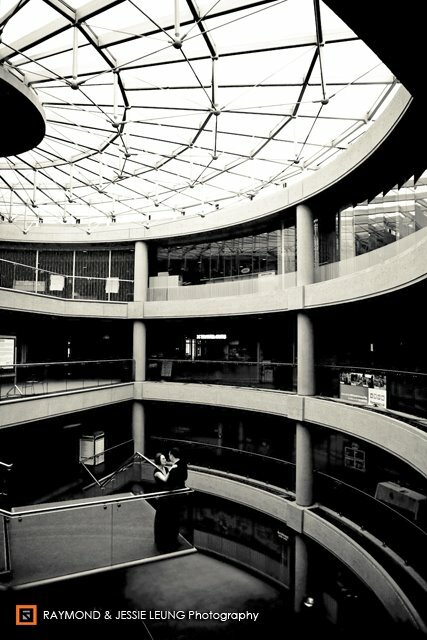 As we were shooting indoor, it rained... We will continue with this unfinished shooting later.